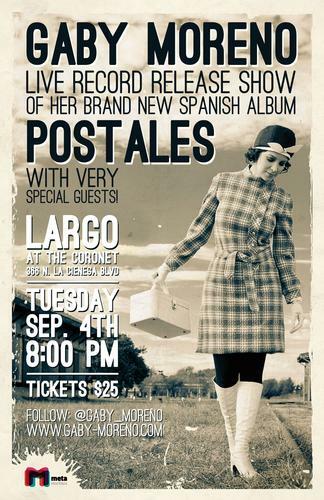 Don't miss out on seeing the wonderful Gaby Moreno at Largo in Los Angeles tonight: Tuesday September 4, 2012. The doors at Largo open at 7:30. Show to begin at 8:30.